Industrialization of blockchain is the new paradigm in the latest trailblazing distributed technology world. Multiple stories featured across the internet suggest key developments and use cases of the blockchain. We have the pleasure of interviewing renowned Hollywood film producer, Christopher Woodrow (Executive producer of Birdman/Hacksaw Ridge), and BANKEX CEO, Igor Khmel, one of the leading minds in the burgeoning blockchain revolution. Recently, the two partnered to create an unprecedented blockchain financing platform, called MovieCoin, which will facilitate a new economy in Hollywood and undoubtedly play a critical role in transforming Hollywood accounting methodologies. BM: What is BANKEX, and what makes your product unique compared to the rest of the blockchain landscape? C/I: BANKEX is a leading global financial technology company developing new technologies on the frontiers of traditional finance, powering some of the most innovative ideas in the blockchain ecosystem for the industry. We are the company behind the Proof of Asset (PoA) protocol – a blockchain protocol that allows organizations to digitize their existing assets through the process of tokenization, ushering in a new era for finance and banking. 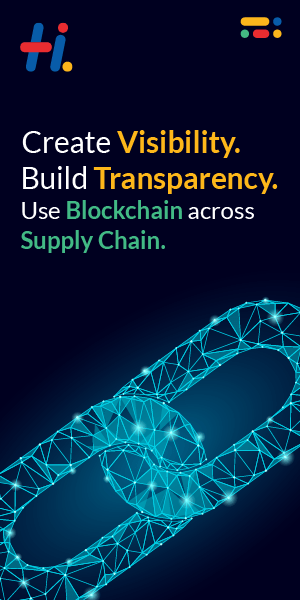 We help our clients succeed by identifying new opportunities and launching a variety of products and services through enterprise-grade blockchain solutions that enable them to digitize solutions, launch new markets, and introduce efficiency across the organization. BM: What is MovieCoin, and why did MovieCoin seek out BANKEX’s smart assets specifically? C/I: MovieCoin is applying blockchain technology to the entertainment industry. The synergy with the BANKEX team was natural when we started exploring the benefits of using their proprietary Proof-of-Asset (PoA) Protocol technology to tokenize existing assets. They are providing us with their expertise in both technology and financial products. BM: How will MovieCoin revolutionize Hollywood entertainment financing? What are the current deficiencies? C/I: The movie business has not adopted new technologies with regard to motion picture finance and production causing huge inefficiencies throughout the industry. This results in an incredible waste of energy, time and money that can instead be optimized through the introduction of smart contracts and distributed ledgers. BM: What is the long-term vision of MovieCoin, and what are the challenges? C/I: We want to make it easier for everyone to invest in movies by adding transparency and removing friction. Resistance to change is always the biggest challenge of any innovation. We will overcome this by providing clear and tangible benefits to the industry. We intend to work with major studios and the most successful production companies by providing them access to our platform and proprietary solutions. BM: Could you briefly explain who’s behind MovieCoin? Are these established Hollywood executives or industry newcomers? C/I: MovieCoin was founded by Hollywood financier and producer Christopher Woodrow in partnership with BANKEX. The Company’s executive team brings experience from across investment banking; film financing, production and distribution; technology development and public company management. The team has been directly involved in the financing of hundreds of films that have collectively grossed billions of dollars at the box office and won numerous Academy Awards. BM: What are BANKEX’s future plans? C/I: The mission of BANKEX is to provide a technological framework for institutions to bring liquidity to assets around the world that are currently underrated and underserved due to information asymmetry, high barriers of entry, and a lack of standards. Through our Proof of Asset protocol, we will allow for the creation of new markets, where these assets will be freely exchanged on an open market through the process of tokenization. In essence, we are seeking to build the Internet of Assets. Developing a comprehensive tokenization ecosystem will allow BANKEX to move real assets from the physical world into the digital. At the same time, BANKEX continues to establish partnerships with leading companies across multiple industries to provide the technology framework required for asset tokenization platforms. The MovieCoin project is the first institutional grade use case for real asset tokenization to be created using BANKEX technology.